DeKalb Police Sgt. Jon Costliow, left, listens in with other officers as Sgt. 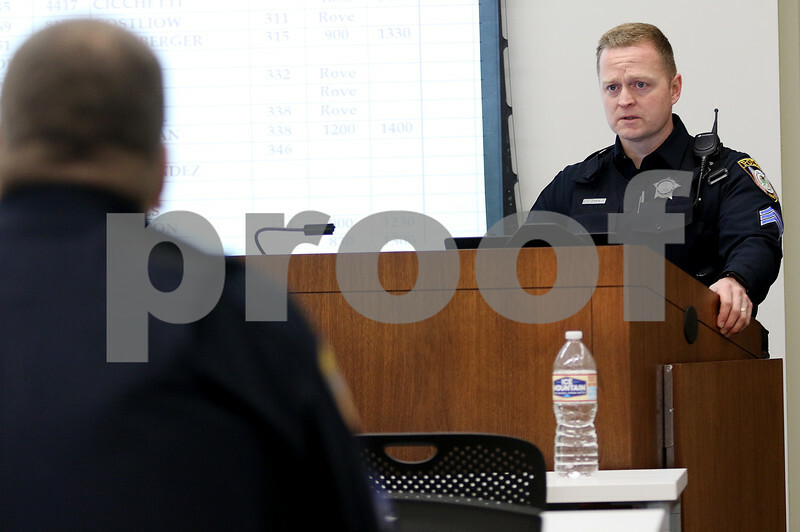 Joe Espy, right, talks during roll call at the DeKalb Police Headquarters on Monday, Feb. 27, 2017 in DeKalb.